Greenlee Holesaw arbor has high-speed steel construction for added durability. It offers solid connection without any gaps or wobbling. This arbor has hex shank of 7/16-Inch and chunk size of 1/2-Inch. 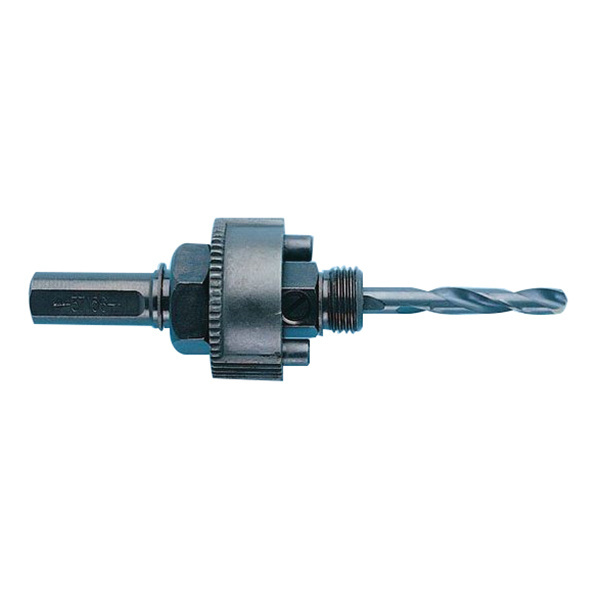 It is compatible with holesaw ranging from 1-1/4 to 6-inches, all Greenlee bimetal holesaw, recessed light holesaw, carbide-grit holesaw and Greenlee #901 or #904 bit extensions. It includes replaceable, high-speed steel pilot drill.